The books reviewed in this issue—the most recent works by some true giants of light verse—are just right for late summer and fall: they get dark earlier and induce a bit of a chill, but once you’re well into them, they also bring lots of laughter. Bruce Bennett. 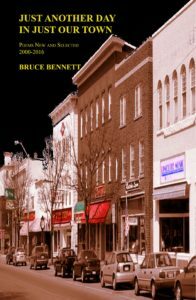 Just Another Day in Just Our Town: Poems New and Selected 2000-2016. Orchises Press, 2017. In an author’s note that precedes the title page of Bruce Bennett’s new book, he claims not to have included light verse “except for the parodies and take-offs.” Dear Professor Bennett, I think you need a better editor, as there is much in this book that qualifies as light verse and much to enjoy for readers who have become Bennett fans after discovering you in Light‘s pages. That the entire poem is in quotation marks somehow makes it funnier, as though journalistic accuracy is the most important goal of these seventeen syllables. The people who have yet to die are here. They go about their business, unperturbed. Their duties and their consciences are clear. and do not think they too will disappear. Girls don’t always want a stud. One doesn’t have to be hot. At least long enough for a date. It is never never too late! My knee-jerk reaction is to picture Emily Dickinson casting a skeptical eye on modern technology, but Bennett has changed my mind on that. “Emily on the Net” and “Perfect Company” imagine Miss D’s interactions with today’s devices: if only she’d had ear buds, she might have ventured out—world seen and shyness preserved. But just as Bennett’s touch with light verse tempers the serious poems, the parodies don’t shy away from stronger medicine. “The Fix” gives the Belle of Amherst a prescription for Zoloft. The results are not pretty. The most complex of the parodies is “Breaches,” in which Frost’s musings on a boy’s pleasures and the vagaries of love are replaced by the persona’s longing to escape the pathless wood of undergraduate indifference. But as is Bennett’s way, the birches return in the end, and the speaker thinks of climbing them for a different sort of transcendence: to escape from his academic rut. The form is part of what I want to say. It makes a case for that right off the bat. It states itself, and then shows me the way. and quietly accept the close of day? Why rage against the dying of the light? This is a large book both in scope and length (214 pages), and it will take you many places—some unspeakably sad, some hilarious, all thoughtful and all most certainly worth the price of the ticket. That said, I eagerly await the volume of purely light verse promised in the author’s note. I just pray there are no decapitated ducks. Marilyn L. Taylor. 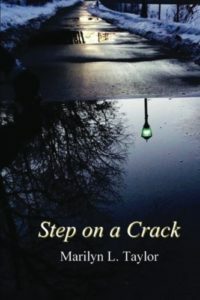 Step on a Crack. Kelsay Books, 2016. More elegies, more elegies! And more caveats from your reviewer. Yes, this is Marilyn Taylor’s darkest book. But there is much in it that will make you spew your coffee (or, my recommendation, something stronger) as you laugh out loud. Taylor appears to have reached the stage—as a poet, anyway—of not giving a damn about what one ought to do, and the result is gorgeous. Indeed, if this book has an overall effect, it’s one of subverted expectations. From poem to poem and within poems, both form and content surprise. The first delight of this book is that Taylor is all over the place with regard to form. There is free verse and blank verse, Sapphics and sonnets. There is even a heartbreaking prose poem. Generally, I think of Taylor as a meter maven, so the freedom she grants herself is intriguing. Still, the discipline of meter is clearly so ingrained in the nonmetrical poems that those of you who hear “free verse” and shudder have nothing to fear. and always dwell in possibility. will light her way at last. “Tercets from the Train” similarly shocks with its ending and indictment of both a mother who wrongs a child and the people who sit by in silence. “Reading Alcott, 1962” should not be read in a place where silence is the rule (trust me on this). In it, Taylor takes on the voice of a girl reading Little Women and resetting it in her own ’60s milieu. She imagines tending to her little sister in the way the March sisters tended to Beth, but instead of The Pilgrim’s Progress, this girl would read her sister Tropic of Cancer and sing her bawdy songs. The specificity of how adolescents fantasize—that a plot, while sad, might be put to solipsistic good use in the present—is spot-on, and the details of the poem are hilarious. If you are a fan of Marilyn Taylor, this book will surprise and please you. If you are not (yet), it is an excellent introduction to a poet who blends honesty and sanity with precision and dry-martini humor. John Whitworth. Joy in the Morning. Kelsay Books, 2016. Do not guzzle down this book in one sitting. You will become utterly disoriented, you will be unable to speak in your usual cadences, and you will cause concern among your loved ones. Do read it, however, in small sips. In Joy in the Morning, both sound and sense are made to do things nature quite likely never intended but which Whitworth makes seem as natural as swallowing—if your esophagus were designed by Rube Goldberg. If you have read Whitworth’s previous work, all the expected concoctions are on tap. If you have not, well, belly up to the bar and brace yourself. Whitworth’s antecedents include W.S. Gilbert (to whom he acknowledges a debt) and Cole Porter, whose way with a rhymed list Whitworth matches in poems such as “Cosmic Dust” and “The Pen Is Mightier.” But that might lead you to imagine a sort of quaint, codgery kind of poetry that this is certainly not. Whitworth applies old-school rhythm and rhyme to whatever enters his modern ken—including but not limited to English politics, current sexual mores, contemporary (and not so) art and literature, and the music of The Clash and the rap group The Underachievers. He has even written the ultimate verse response to the Twilight phenomenon in “My Boyfriend.” Such pressure of confinement can lead to all manner of fabulous silliness. Part of the reason such relentless versifying, while potent, doesn’t get old is that Whitworth puts every crumb of his large vocabulary to active use—”rhizome,” “etiolated,” “nenuphar,” “lexeme”—as though such words were always available for everyday rhyming. Thus, the surprises come thick and fast. “Crumply / fait accompli,” “Ouija / procedure” and the magnificent “Harry Truman / ichneumon” are particularly memorable. Indeed, the process of reading a Whitworth poem should go something like this: read it once at the breakneck pace inherent in most of the poems, noticing—like Alice falling down the rabbit hole—that there are interesting things flying past, but you mustn’t stop until you land at the end. You may then go back to the beginning and savor the treasures of rhyme and reference that you whizzed by the first time. Licks his blubber lips and mutters, You are mine! The boy in his garden of gold. when he doesn’t give a damn. Oh, and one poem, “Defining of Terms,” explains the game of cricket such that I’ve come significantly closer to understanding a pastime with only somewhat fewer rules than the Geneva Conventions. X. J. Kennedy. 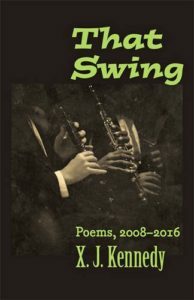 That Swing: Poems 2008-2016. Johns Hopkins University Press, 2017. Your devotion to light verse don’t mean a thing if you ain’t got X. J. Kennedy’s new book. (Too obvious? Too bad.) Kennedy has always combined light verse with pathos (reinforced by his choice of poems to translate in this book), and That Swing aims both the light and the not-so at the twilight of life. I am mostly writing about this book so that you will know it exists. There is little to be said about Kennedy’s work that hasn’t been said already by critics more illustrious than I. What I will tell you is that it includes rhymes so unexpected and perfect (subspecies/feces; Prescott/waistcoat) that you will chuckle about them hours later while standing in line at the ATM. 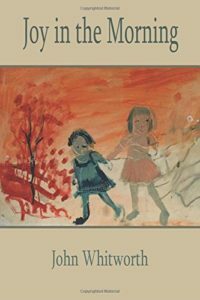 It includes a suicide poem worthy of Dorothy Parker (“Departure”), and translations of French poetry (including work by Jules Laforgue, whom English readers should read more) that often match the mood of the originals with breathtaking precision. “Invitation to the Dance” harkens back to Kennedy’s “In a Prominent Bar in Secaucus” in that it’s singable, it’s a poem about old people that manages to be unsentimental, and it does weird things to your face since within seconds you are guffawing and then tearing up. Dammit. Of course, there are some straight-up funny ones, too. “Rummage Sale” ends on a pun so delicious you will annoy yourself to no end by trying to find a real-world use for it, and “On a Young Man’s Remaining an Undergraduate for Twelve Years” will make you rethink all your life choices. Add this book to your Kennedy collection. Its balance of sweet, salty, and sour may be different from what you usually expect of him, but it is a meal to remember. Daniel Klawitter. Put On Your Silly Pants. Kelsay Books, 2017. Not remotely elegiac, this is a delightful book for the very silly children in your life. Put On Your Silly Pants ranges from the gently didactic (“Bullies,” “Crafty Mr. Booger”) to the flat-out goofy (“Janet From Another Planet”). The book’s key takeaway is that you can take it away. By that I mean the poems are memorable and memorizable. If you wish to start your young poetry appreciator down the path of learning poems by heart, “A Monster in My Broccoli” will do quite nicely. Bruce Bennett. The Donald Trump of the Republic. FootHills Publishing, 2016. Cody Walker. The Trumpiad. Waywiser Press, 2017. Barbara Egel cut her light-verse teeth on Dorothy Parker and Ogden Nash while still in elementary school, causing her teachers no end of concern. She met Light Founding Editor John Mella and began reading Light almost at its inception, long before she imagined knowing its current august personages. She recently completed her masters degree at Northwestern University, writing a thesis on very heavy verse indeed, and thus is grateful to the editors for allowing her to occupy a more aerated environment within these pages.